This confirms that one of the most exciting trends in tech right now is what investing legend Roger McNamee, managing director and co-founder of Elevation Partners calls the HTML5-based post Internet cycle boom mega-cycle. 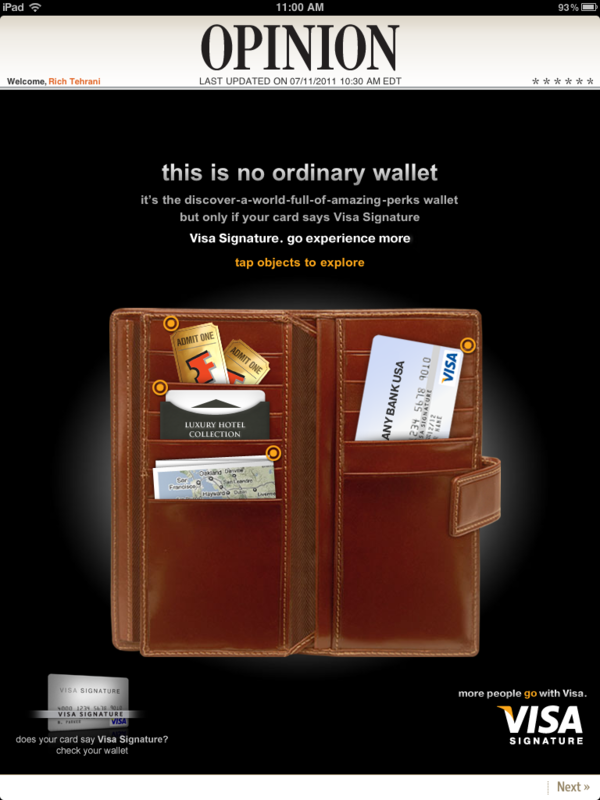 This past weekend I was reading the Wall Street Journal on an iPad - and an ad came up for Visa which touted hotels and movies. 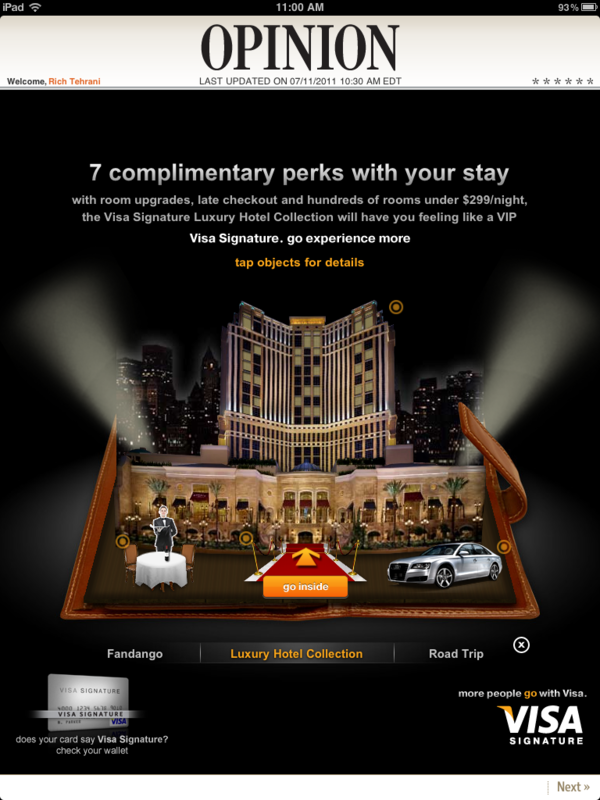 And as I clicked on this interactive advertisement I was presented with an offer from a luxury hotel. Moreover, within a matter of seconds I was virtually viewing a hotel suite which was gorgeous and I was further able to book a room if I chose to do so. Even though the app I used wasn't developed in HTML5 the potential for the same level of interactivity exists in all all pages designed with this new standard. Are we in a bubble or not? Google's Executive Chairman Eric Schmidt thinks the idea is worth paying attention to. He isn't declaring we are in one but he says either the revenue growth of these new tech companies is so large that the valuations are justified or that there is a liquidity squeeze where a large amount of capital is chasing a small amount of shares. Bottom line is we don't know if we are in a bubble - but we will likely learn if we are in 2012 when much of the share lock up periods expire. Interestingly, he mentioned that although many people said Google was overvalued when it went public, it never dropped below its offering price. Gary Kim at IP Carrier has more.